Jonathan Hickman will take over TWO X-Men books to kickstart "a new era for mutantkind." After weeks of speculation, Marvel announced on Saturday that Jonathan Hickman (Fantastic Four, Infinity) will showcase the "next seminal moment in the history of the X-Men" with two new books set to release in July - House of X, and Powers of X. 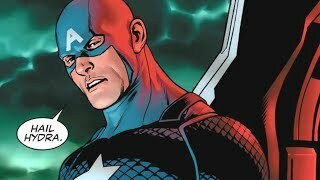 An image promoting the two new books, illustrated by Mark Brooks, accompanied the announcement. Hickman's introduction to the world of the X-Men marks a major event in the Marvel calendar, with the writer having previously presided over two long-running and revered stints on Fantastic Four and the Avengers, the latter of which has gone on to inspire multiple Marvel stories on the big screen, including last summer's Infinity War. The X-Men themselves have been in and out of the spotlight in recent years, but Hickman's arrival is sure to change that immediately. Speaking to Marvel, Editor-in-Chief C.B Cebulski stated that the company "are excited to have Jon back with the Marvel family, and we could not have asked for a better creative team to help usher the X-Men into a whole new era." Cebulski also added that, "while [they] can’t reveal too much about the story just yet, these new stories will redefine the X-Men and their place in the Marvel Universe. This is a historic moment both new and passionate fans won’t want to miss." Both series will release at some point in July, with artists Pepe Larraz and Marte Garcia joining Hickman on House of X, and Powers of X once again featuring Garcia but with R.B. Silva on pencils. Apart from the initial announcement and Brooks' image, there isn't actually a whole lot to go on at the moment. 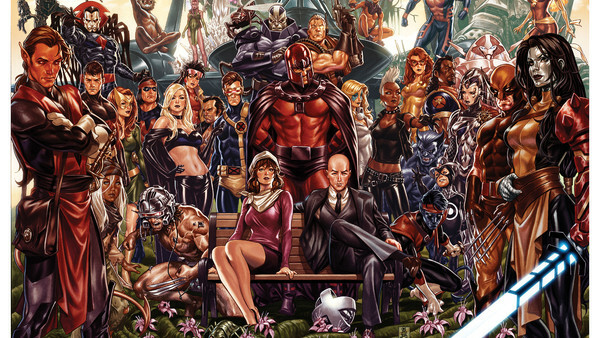 The aforementioned image features a veritable who's-who of X-Men characters comprised of different eras, costumes and guises, and though not much - if anything - is known of Hickman's story currently, given his past record on the Fantastic Four and the Avengers, the X-Men should be a natural fit.